The National Conference on Environmental Protection held in May 2018 proposed to establish an “eco-economic system bolstered by industry-based ecologicalization and ecology-based industrialization”. Rural revitalization requires industry-based ecologicalization. In order to realize green revitalization of rural areas, it is necessary to carry out ecological transformation and upgrading of the primary, secondary and tertiary industries. 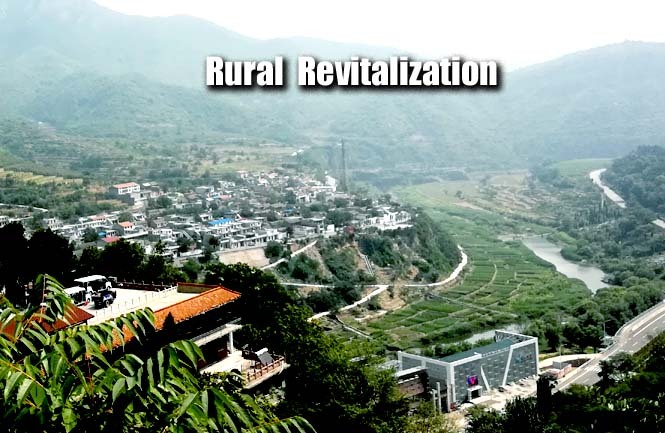 For the primary industry, we need to rely on rural resources and foundations, develop distinctive and competitive agriculture, and prevent low-end and homogeneous competition among villages and townships. For the secondary industry, we need to depend on urban industrial parks and rural resources to develop environmentally-friendly and resource conservation-based industries with distinctive characteristics. For the tertiary industry, we could, based on the city’s needs for leisure and consumption, work for enabling the people to become rich and the city become beautiful with a sound ecological environment. Rural revitalization requires ecology-based industrialization. Hard efforts need to be made to preserve green mountains and lucid waters. Therefore, it is necessary for us to take measures tailored to local conditions so as to make the green resources of vast rural areas become ecological products and services acceptable to both urban and rural areas. In terms of the structure of industrial ecology, the homestay economy and tourist economy can promote the employment of farmers and increase their income. In areas with distinctive characteristics, box office receipts can be added to the government revenue. However, for most parts in China, we need to take measures to make the people and the government both become rich, and the local governments have to rely mainly on the strong support of green industry and green agriculture. We need to take relevant supporting measures for industry-based ecologicalization and ecology-based industrialization in realizing rural revitalization. We need to actively carry out ecological restoration with economic benefits and vigorously cultivate and bring in forerunners for rural revitalization. In addition, we need to steadily promote the reform of “separating rural land ownership rights, contract rights, and management rights”.